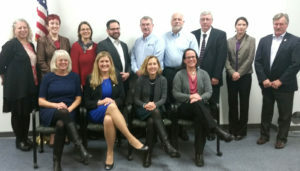 The Northeast Committee on the Environment held their quarterly meeting March 26 at the Region 1 EPA Lab in Chelmsford, Massachusetts. 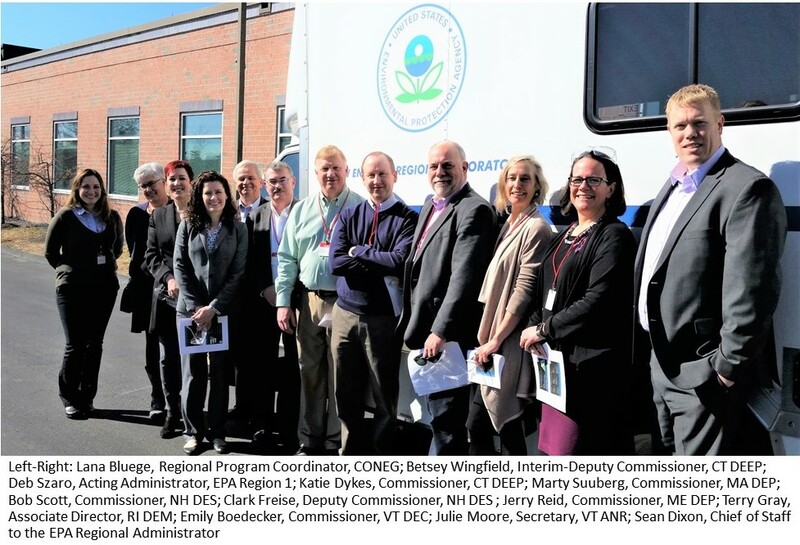 Here, commissioners from New England toured the facility, connected with EPA staff on important scientific research, and discussed regional steps to address the prevalence of Per- and polyfluoroalkyl substances (PFAS). Currently, states are moving forward with setting their own contaminant levels in drinking, ground, and surface water but there are opportunities to coordinate with neighboring states to reach solutions quicker and take advantage of each other’s current studies and knowledge on the subject. EPA released a PFAS Action Plan early this year in light of growing concerns from around the country; however the plan lacked a timeline on when contaminant levels will be regulated on a federal level. This leaves the state’s with an overwhelming task in order to protect the health and safety of their citizens. It is a top priority for the CONEG Commissioners and after a productive afternoon of brainstorming and sharing information; we are hopeful to move forward and determine where regional steps are necessary in order to address this growing concern. 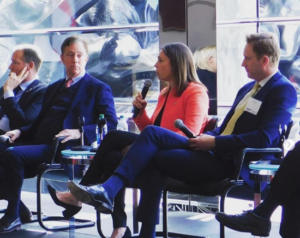 On another note, CONEG is thrilled to have new commissioners from Connecticut and Maine continue their work with the coalition and share their insights and experience. 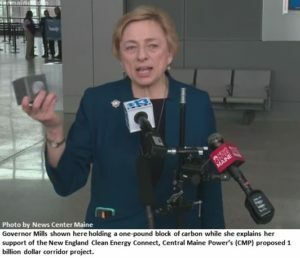 Commissioner Katie Dykes of Connecticut and Commissioner Jerry Reid of Maine attended their first quarterly meeting. NECOE will meet again this summer to continue regional collaboration and discussions on pressing environmental and energy matters.